Muscle cars have adorned the walls of many a bedroom wall, along with all the greats that we’ve grown knowing about as children. 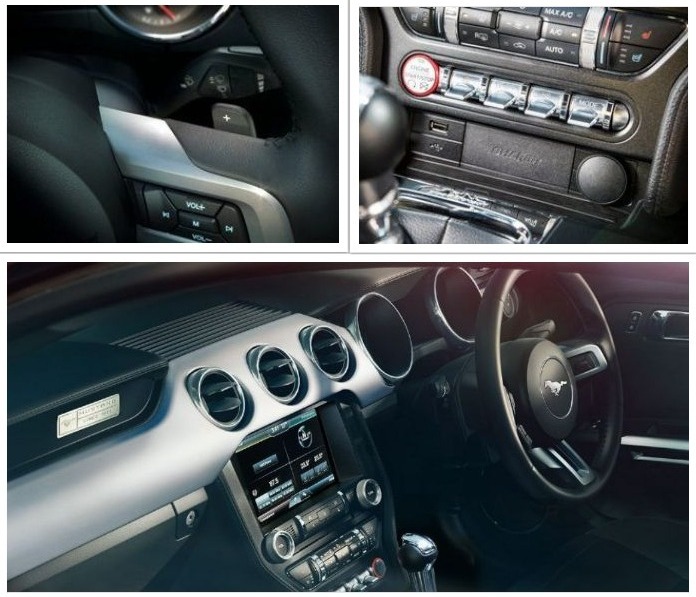 Great-looking, powerful and brimming with character in different ways – the Mustang has always made a strong case for itself, despite always having been put together in a regular assembly line, unlike all other handcrafted supercars. Before we dig into the details, allow us to give you a bit of a history lesson. It dates all the way back to 1964, when the first production Mustang was shown to the world at the New York World’s Fair on the 17th of April; two months later it goes on sale, and on the very same day The Beatles visit New York – making an appearance on a popular American talk-show called the The Ed Sullivan Show. 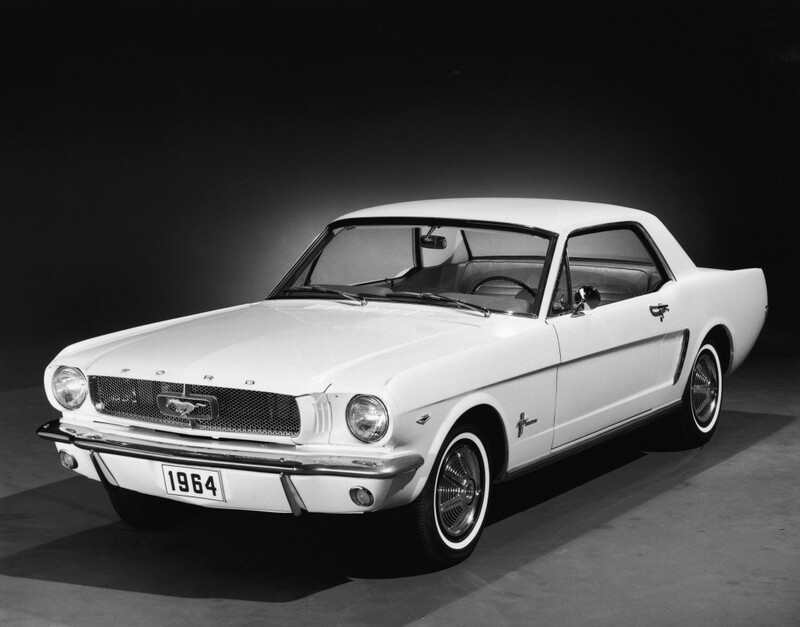 Two versions of the Mustang made their debut in 1962 and ’63 itself, but those were only concepts. Now in order to sell the Mustang as an affordable car, it meant Ford had to use parts from an existing car: the Falcon. While it boasts of the same overall length and shared the suspension construction with the Falcon, it was an entirely different car, with a silhouette that was considered sleek, making it something of a topic in every discussion among youngsters in bell-bottoms who wanted a car sporting enough to make the dart down to college in. And you could choose between a notchback coupe or a convertible, which meant wind-in-the-hair motoring was no longer a dream. 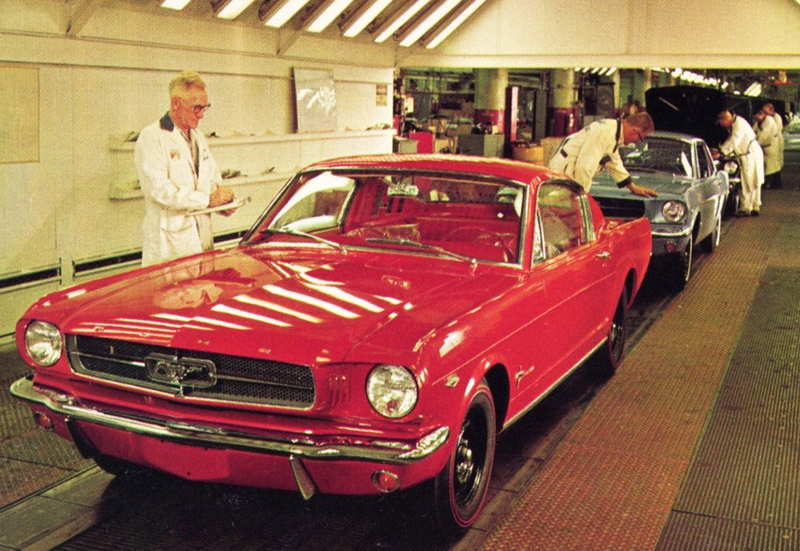 Ford was eventually bowled over with sales, with over 5,59,000 Mustangs sold in the year 1965. Carroll Shelby entered the scene that year, after it was decided that the Mustang had to get a bit ‘racier’, to take on the likes of the Chevy Corvette. 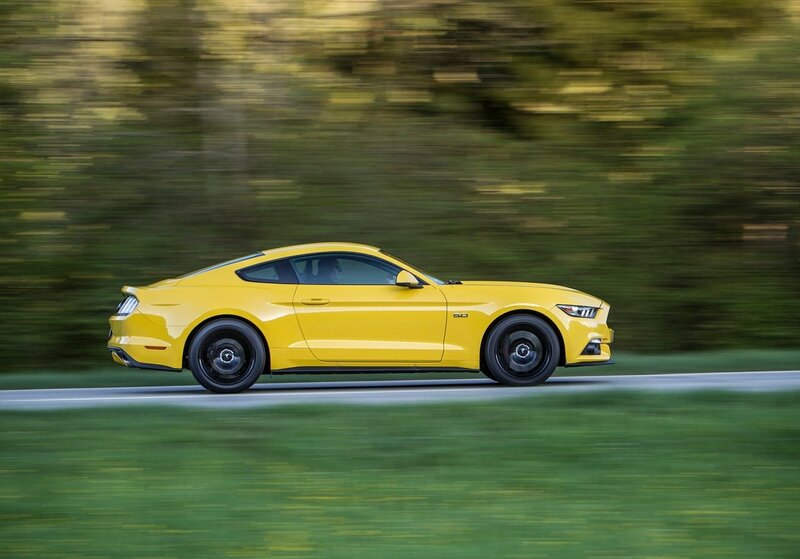 Mustangs were tuned and modified into GT350s, removing the rear seats and adding go-faster bits like a fibreglass bonnet, lowered suspension, bigger brakes and tyres being shod with 15-inch wheels. So there’s more to the pony car than just a galloping horse on the grille, side scallops on the flanks and those three-bar tail lamp units, as you will read on further. The Mustang – now in its modern avatar – is undeniably attractive; ask your girl friend. A mildly bulging bonnet, a sleek side profile, flanked with smoked 19-inch wheels, a stubby rear-end and of course, the sloping roofline; it’s everything dreams are made of, this car. For those of you in search of a little drama inside the ‘cockpit’, you may want to take a second look trying to convince yourself with ‘ground speed’ printed on the speedo dial; fighter jet details and all. The interior gets retro touches with detailing that hints at an aviation theme again. Features include dual-zone climate control, SYNC-2 Connectivity system, an 8-inch touchscreen, six-way power adjustable driver-and passenger seats, ambient lighting, heated and cooled leather seats and 8-freakin’-airbags! Also, Ford’s ‘track apps’ feature is bound to have customers hooked, as it delivers acceleration and braking time figures on your plate. 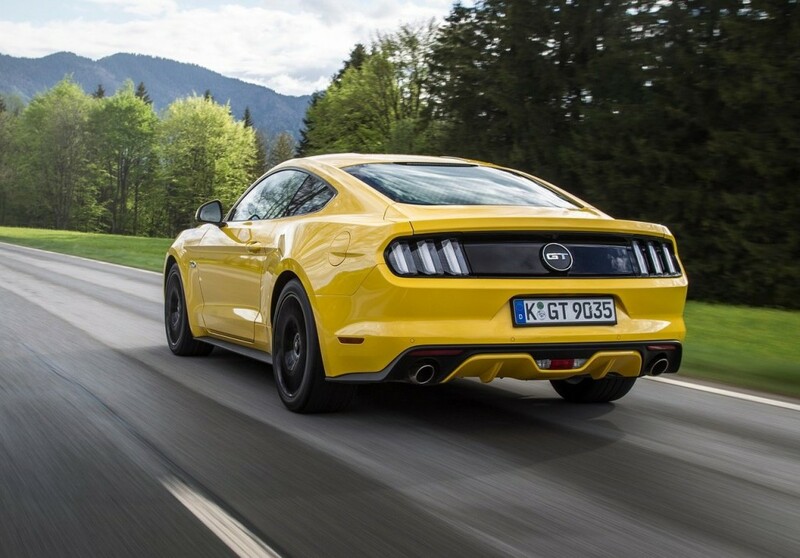 The Mustang offers you three engines in European markets, of which only one makes it to India: the 401bhp, 5.0-litre V8 good for 515Nm of torque. All this power will be channeled through a 6-speed auto’box, to the rear wheels. What you also get is a quality growl from the exhaust; a little mellow compared to its predecessor, but you’re bound to fall head-over-heals for this thing the moment you put your foot down. But we’ll reserve out road test perspective until later to give you a full-blown opinion of what it’s like to go hammering away 8 cylinders on Indian turf. At all four corners, you get independent suspension that – we think – is perfect for a Grand Tourer of this ilk. Most of us chaps at pitstopweekly can’t wait to get down and dirty with the Yankee – but what hurts us lesser mortals most is knowing that – even at 65 lakh rupess – only the well-heeled will be able to afford it. A loan from the bank, perhaps? Or selling that farm couldn’t be a bad idea. If only wishes were horses….